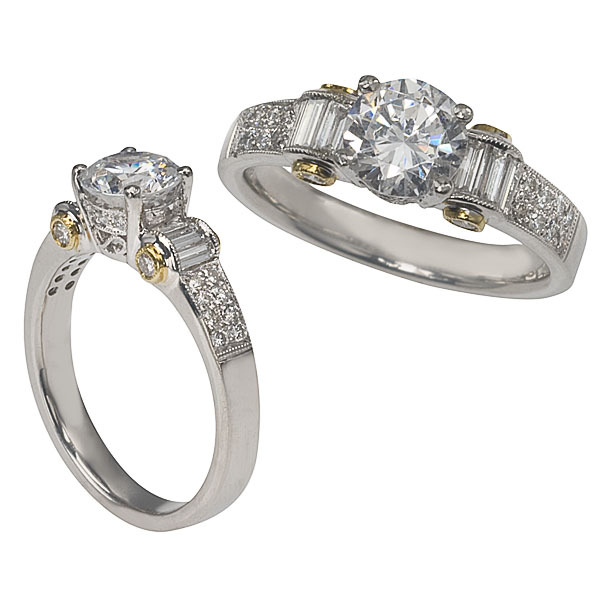 This platinum engagement ring is a showstopper with curved baguette and bead set diamonds (weighing 0.53ct.) Yellow gold is the setting for four round diamonds, enhancing the overall display of your center diamond. Note the detailed bead and scroll work. (Center Diamond is Sold Separately).